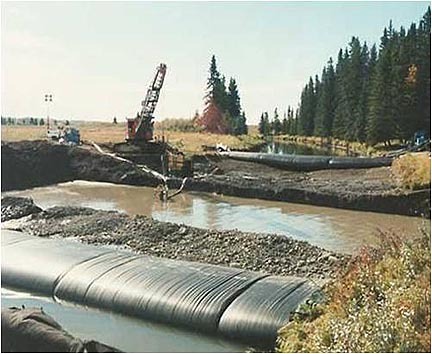 AquaDam® is a unique product for constructing projects in streams and channels using water to control water. 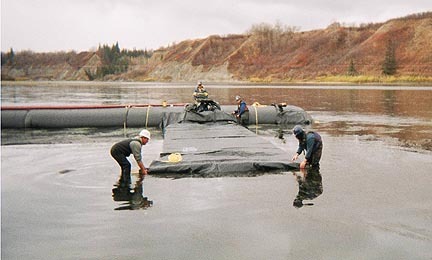 AquaDam® is a water filled portable dam or aqua barrier, that can be positioned to contain or divert the flow of water. AquaDam® is lightweight and easy to handle, and can be used in virtually any location. On-site requirements are just a portable pump, and the usually abundant local water supply. 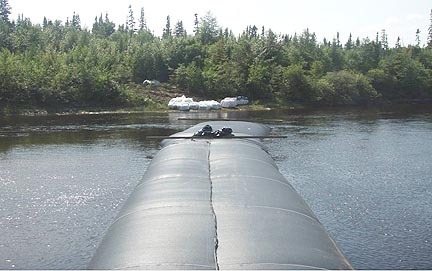 AquaDam® is environmentally safe and specifically designed to provide rapid deployment for flood control or water diversion situations. 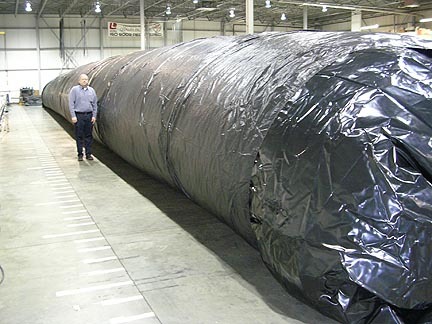 The result is a flexible and stable water filled barrier that can act as an aqua barrier to contain, divert, and control the flow of water. The unique combination of properties makes AquaDam® ideal for a wide variety of applications. 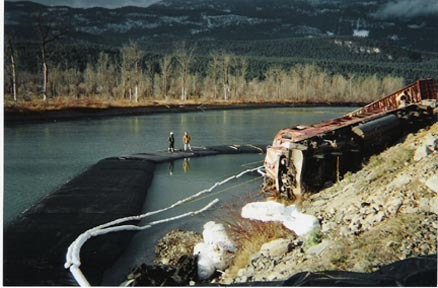 Some of the more common uses include: Stream crossings during pipeline installation; rapidly deployed flood water control; water containment during repairs to bridges; used as an aqua barrier to prevent erosion control through diversion or containment. Layfield provides installation services for AquaDams and can help you assess which AquaDam® will be right for your project. AquaDam® is a fast and inexpensive way to hold back floodwaters. AquaDams deploy rapidly with a small crew, and are inexpensive to clean up.